Welcome to MMG Friday! Today's more meaningful shop is iWunder, run by the incredible Jennifer. Jennifer is our very own "Etsy-pedia" - she always has great advice on tagging, pricing, search optimization and so much more. Plus, she isn't afraid to speak her mind when something is unjust or against Etsy policy. She's also a brilliant scientist & fellow MSOE member. 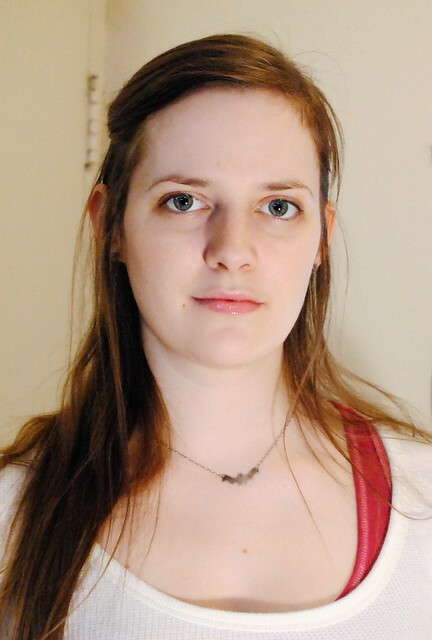 On top of all that, she's part of the EcoEtsy team & is committed to recycling her packaging. Jennifer is truly a wonderful & kind person and I'm proud to call her my friend. Parrot moebius cowl - I've been coveting this cowl since it was listed. 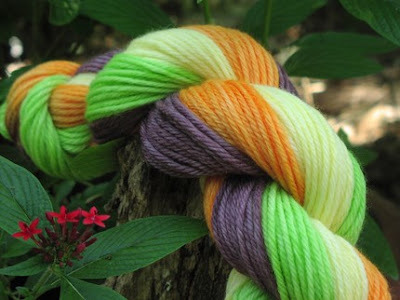 I absolutely love the fun art yarn & bright colours! yarncoture: Her flowers are always well made. 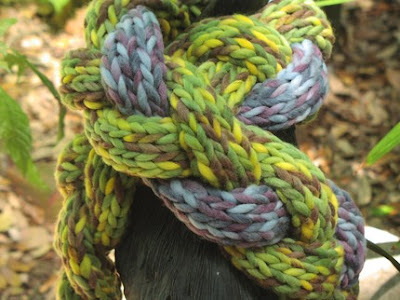 Her fiber choices are always of excellent quality and the color choices are always eye catching! iWunder is a wonderful seller and Etsian in general...she always has helpful information about how to sell a product, good customer relations. Experience is the key and she has definitely learned from hers and is very gracious to share it with others! 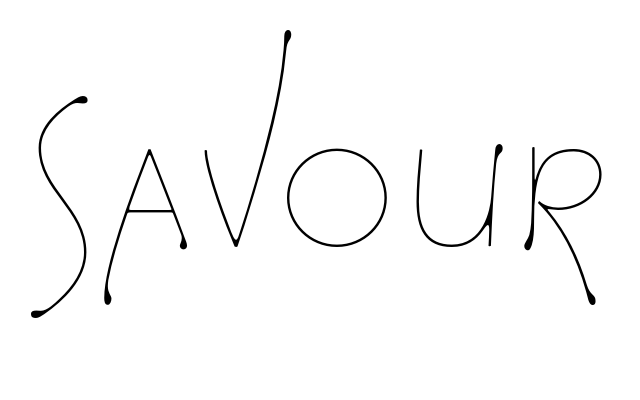 karalennox: iWunder is a font of etsy knowledge, which she shares generously with anyone who asks. Whether it's marketing, photography or pricing, she's our go-to girl. Plus, her crocheted flowers are addictive! I've bought several to dress up an ugly black backpack, which now looks stylishly divine! Earth & a little bit of sky braided scarf - one of iWunder's signature scarf designs, these amazing braided ones are absolutely stunning and oh-so unique! TrickyBugPaperArt: I recently purchased two fabulous items from iWunder's shop and I couldn't be more pleased! I first selected the "Twilight" crocheted flower brooch. This lovely little bloom arrived at my door very quickly, wrapped in recycled packaging. Once I had "Twilight", I knew I had to have a coordinating scarf. Jennifer was very helpful in suggesting her long, skinny-knit wool blend scarf in gorgeous deep ocean colors. The brooch and scarf match so well and are impeccably crafted. 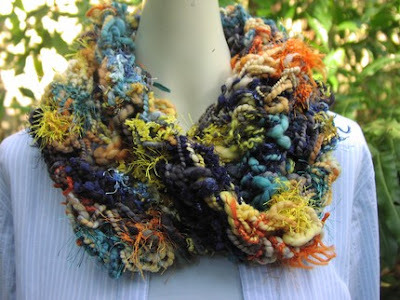 I love that she chooses many hand-spun and hand-dyed yarns, to create items that are truly handmade and one of a kind. I love the set so much - it's unique, artistic, and a real statement-maker! 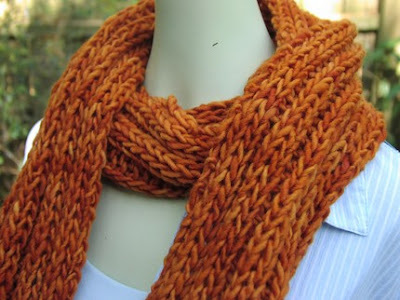 Pumpkin dude scarf - iWunder has a section of dude scarf in more neutral tones for the men in your life. Personally, I don't know any men who would wear a scarf (they're all way too "manly" to ever wear an "accessory" - ah, small town mentalities!) but if I did, I would be all over these. jerise: iWunder is Wunderwoman! I love Jennifer's way of caring about so many people, and offering truly thoughtful help; of course she's a walking library of information, too. We all appreciate her lurking presence during our days, and know that she's ready to jump in and lend a helping hand whenever needed. I admire her organic way of going about the Etsy project, and her love for hand-dyed wool, her appreciation of sweet and overlooked vintage objects (such as that little creamer from Frankenmuth), and attraction to all things made by hand and with love. She has respect for her materials, just as she does for her friends. And she makes completely awesome cat-beds on a moment's notice! Trix self-striping hand-dyed yarn - iWunder also dyes her own yarn (with Kool-Aid to get these awesome colours)! marinebiochic07: iWunder's handdyed yarn is awesome! The colors are so bright and the self-striping yarn stripes beautifully (even though I wasn't trying :)). I have more balls at home and can't wait to get some more scarves made. And on top of being an awesome sales woman she is super supportive. 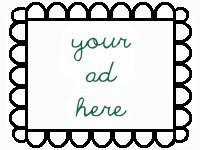 I don't know where my shop would be without her encouragement for pricing our items fairly and her advice on tagging and titling items to get more exposure. There's way more goodies in store, plus iWunder has 2 other shops - iWunderVintage & iWunderSews. Be sure to check them out too! Let me know what your favourite iWunder item is - and if you've ever received some advice from our very own Etsy-pedia! Great feature! Sorry I forgot to get back to you! Busy day yesterday! I love all the products I have received from iWunder! They are always very well packaged! What a fantastic feature Uli! Jennifer is truly one of the most amazing women I have met on MMG or Etsy for that matter! I agree with everything everyone has said about Jennifer! My first purchase was a dude scarf for my daughter's boyfriend, and I just recently had her custom-make some flowers to go on the clutches that I make. She is fast and oh-so professional. The Bittersweeets One a Day Challenge team is proud to call her one of our own, too! No doubt about it, Jenn is absolutely awesome and among my very favorite Etsians :D! It seems like Jenn knows about everything:) We all love her on the MMG, and I've been eyeing her Dude Scarf for a long time!